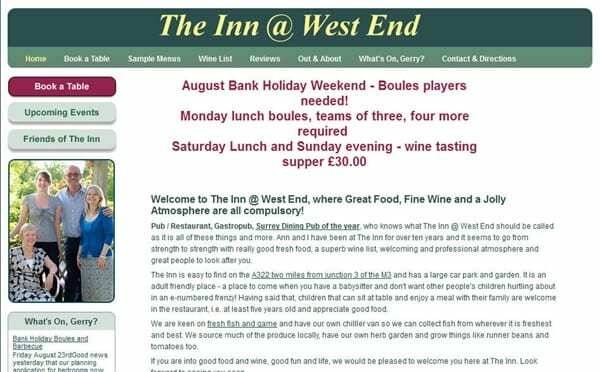 Gerry Price, the landlord of the Inn @ West End, a very successful destination pub and dining establishment, wished to purchase the freehold of the concern from Enterprise Inns. Gerry had been an Enterprise tenant for over 10 years and had developed the trade substantially over the years and a consequence the monthly rent was in his own words more than a commercial mortgage. Gerry had the choice of buying a freehold concern elsewhere, or consolidating on the trade he had developed by approaching Enterprise to purchase the freehold. Enterprise were receptive to the latter approach, providing the deal could be finalised and completed within 6 weeks prior to Enterprise’s year end. Given the strength of the Inn @ West End’s trading performance and given his proven operator status, debt was offered by several commercial property lenders on varying terms and incentives. Additional facilities were also sought to provide for the development of the trade within the principle facility offered; with limited conditions and covenants. The debt offered enabled Gerry to make an offer (which was subsequently accepted) for the freehold on exceptionally favorable terms, with the added benefit of the “cash back” incentive under the Government’s Funding for Lending Scheme. Given the general attitude of many High Street lenders I was despondent that we could raise debt in our own right, even with a proven and successful track record. We contacted Stewart Hindley & Partners who steered us through the complexities of commercial property finance in the pub a sector where lenders are risk adverse with limited funds available. The key to securing the right level of debt was to establish the market value from Enterprise’s and our own prospective, As Stewart Hindley are know to al the lenders panel valuers a desk top opinion was quickly sort which provided the base line for our negotiations and debt requirement which could be serviced from the exiting trade. Without this invaluable advice we would have either paid a premium over market value for the freehold which would have resulted in a higher deposit requirement leaving us dependant on additional borrowings from other sources to meet the balance required to purchase the freehold. Stewart Hindley & Partners cut to the chase without cutting corners to secure the debt within the timescales required.